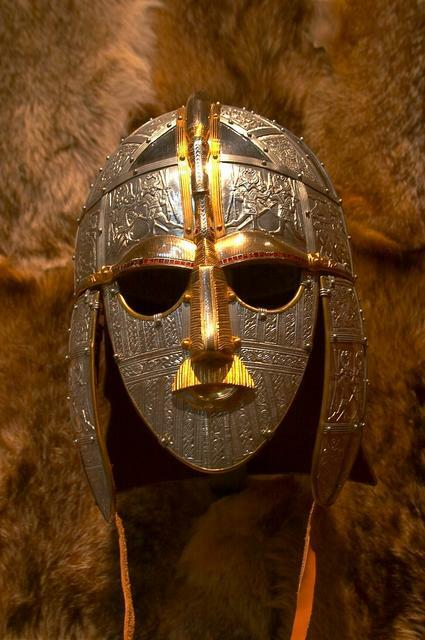 All right, I admit it, I am writing this post mostly as an excuse to use the phrase “Sutton Hoo woo.” It’s a lovely phrase. Try saying it. Go ahead; I’ll wait. More seriously, though, we’ve all heard psychics claiming that they have worked with the police and provided material assistance in finding missing persons and dead bodies and in solving cases. In every instance, these claims have proved to be dubious, at best. We’ve also heard of dowsers claiming to have found…well, all sorts of things using their magic sticks. The excavation of the Sutton Hoo ship burial may be an instance where fringe beliefs actually did contribute to the discovery of a great treasure and human remains (sort of). Now, right off the bat, I should make two things clear: in the first place, it’s unclear to what extent unconventional beliefs contributed to England’s greatest archaeological discovery. Secondly, I’m not saying that anything extraordinary actually happened. Ghosts and magic sticks didn’t actually lead to the discovery, but the belief in ghosts and magic sticks may have acted as a catalyst. I guess what I’m saying is that someone who is a bit of a woo can also be a Big Damn Hero. In this case, our Big Damn Hero is the delightfully named Mrs. Pretty. 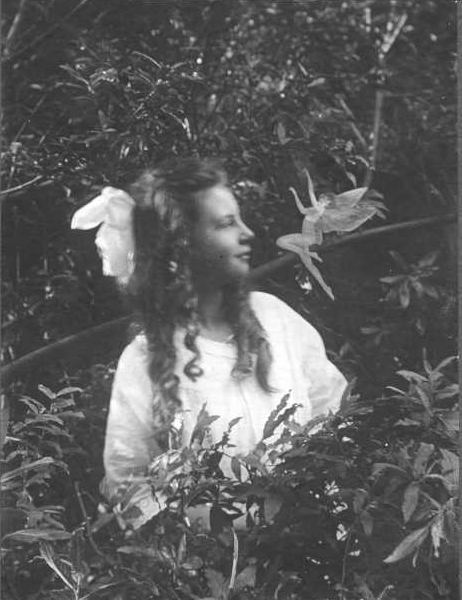 Edith May Pretty was the daughter of a wealthy northern industrialist. In 1926, she married Col. Frank Pretty, and the two of them bought Sutton Hoo House, a large Edwardian mansion near Woodbridge in Suffolk. In 1930, Mrs. Pretty found herself pregnant at the age of 47. Four years later, her husband died. Mrs. Pretty also had a nephew who was a dowser. He said there was treasure under Mound 1. Armed with this supernatural information, Mrs. Pretty decided to hire herself an archaeologist. 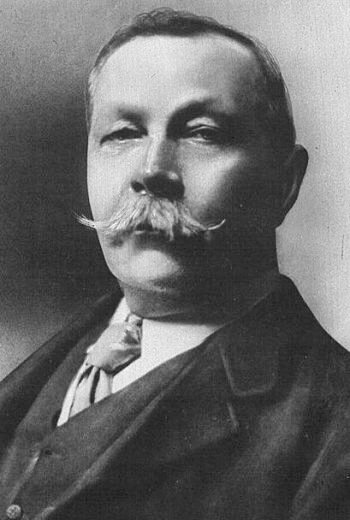 She consulted with Guy Maynard, curator of the Ipswich Museum, who suggested Basil Brown, a self-taught but conscientious and successful excavator. She paid him 30 shillings a week and provided him with accommodation in the chauffeur’s cottage and the assistance of two estate workers (one of whom was named Tom Sawyer). Based (allegedly) on the supernatural insights she had gained, Mrs. Pretty suggested that Brown excavate Mound 1. Brown did begin to excavate Mound 1 (using a long probe designed by Mrs. Pretty), but concluded, logically if erroneously, that Mound 1 had been looted. Instead he turned to Mounds 2, 3 and 4. Mounds 3 and 4 were cremation burials that had been looted. Mound 2–one of the largest mounds–produced a number of scattered rivets. It was a ship burial, but it too had been looted. No body or bones were actually found, but in subsequent excavations, phosphate traces were found in the soil, suggesting that a body had once lain there. The soil is highly acidic; almost no wood from the ship survived either. Ultimately, Mrs. Pretty did donate the treasure to the British Museum, “thus making the most generous donation to the Museum ever made in the lifetime of a donor. Mrs Pretty was offered the honour of Dame of the British Empire, which she declined” (Carver, p. 22). The treasure was then taken to the London Underground for the duration of the war. More importantly, there is nothing mystic about the discovery: Mrs. Pretty lived on an estate that had big, honking mounds in the back yard. No one knew exactly what they were, but the idea that they were burials was hardly outlandish. And with pagan burials comes treasure. There had been rumors of treasure for centuries. Certainly the looters thought there was treasure. Nor is the interest in Mound 1 particularly surprising. It’s really big (admittedly, so is Mound 2). Still, it seems likely that Mrs. Pretty’s interest in spiritualism and her faith in her nephew’s dowsing may have played some role in her decision to hire someone to excavate, and her spiritualist medium may have encouraged her to donate the treasure to the British Museum. Edith May Pretty: First Class Woo. Big Damn Hero. Bruce-Mitford, Rupert. The Sutton Hoo Ship Burial: A Handbook. London: British Museum, 1972. Carver, Martin. 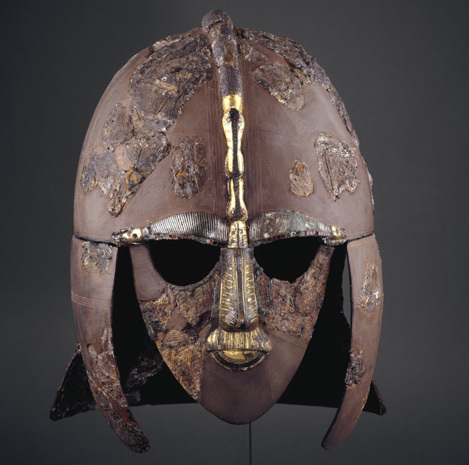 Sutton Hoo: Burial Ground of Kings? Philadelphia: University of Pennsylvania Press, 1998.